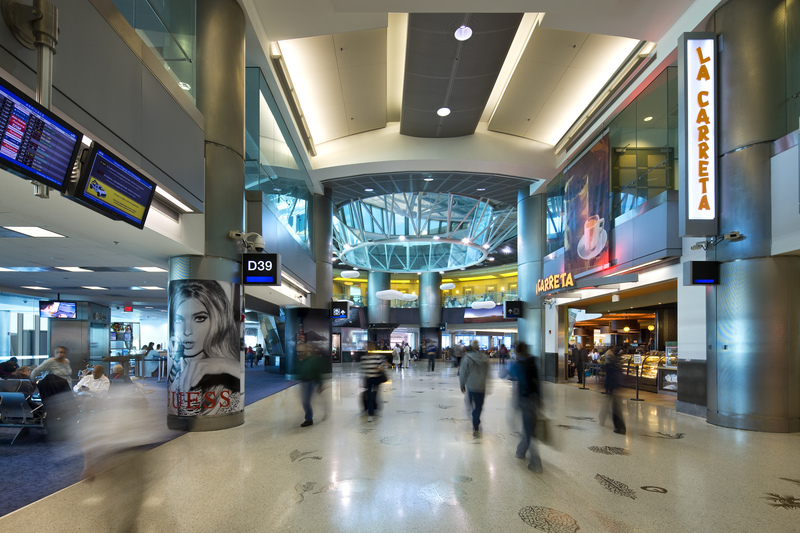 Miami International Airport's Capital Improvement Program (CIP) continues to deliver elegant, efficient new facilities for passengers worldwide and the local South Florida community to enjoy. When the CIP is completed in early 2013, MIA will practically be a new airport, with a five-year-old South Terminal and a brand new North Terminal combining to serve approximately 95 percent of the airport's passengers. Connecting both terminal facilities and the airport's parking garages is a system of moving walkways on the third level. In addition, the MIA Mover, an above-ground, automated people mover system that opened in September 2011, quickly and seamlessly connects MIA passengers to the airport's four-level, consolidated Rental Car Center and Miami-Dade County's future "grand central station" - the Miami Intermodal Center.